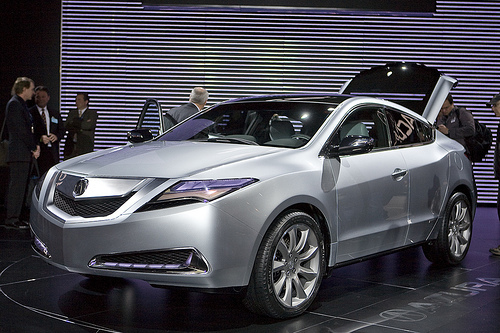 Acura ZDX is stunningly beautiful, and it competes with BMW X6 in performance. It has a sporty look with luxurious attractive interior. You cannot take your eyes off the new Acura ZDX. Acura ZDX provides sporty driving experience with its powerful performance. ZDX is based on MDX platform, ZDX is Acura new SUV. It is defined as four door sports coupe because of its sloped windshield. The advantage that ZDX has is its exterior. It is more stylish than any other SUV and driving features are like sedan cars. It is higher than any sedan, but doesn’t provide much extra cargo space. 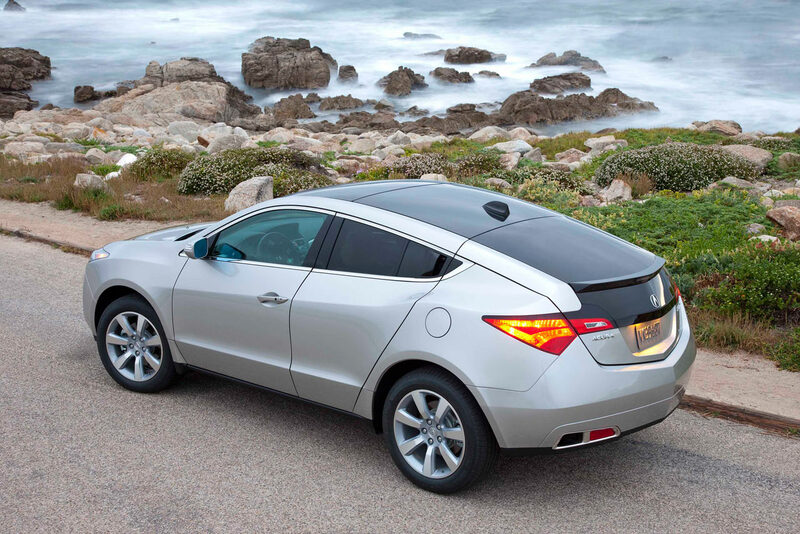 Acura ZDX is for those who want a perfect luxury drive, but don’t need much utility. Although ZDX provides excellent performance that you can desire. It is most liked by youngsters because of its exterior. Acura ZDX is stunningly beautiful, and it competes with BMW X6 in performance. It has a sporty look with luxurious attractive interior. You cannot take your eyes off the new Acura ZDX. Acura ZDX provides sporty driving experience with its powerful performance. ZDX comes with 3.7 litre V6 that makes 300 horsepower and the same engine is used in Acura MDX. It comes with 6 speed automatic transmission with paddle shifters. Some of the reviewers say produces enough power, but some don’t agree because of the weight. The fuel economy is about average for its class. ZDX achieves 16 miles per gallon in city and 22 mpg on highway. Handling and braking system is excellent; ZDX comes standard with Super Handling All Wheel Drive. However, some don’t like the steering feel. The Integrated Dynamic System (IDS) and active damper system are available with the Advance Package. It improves suspension and increases steering feel for a sportier driving experience. It has the extra plush exterior which is liked by most of the people. ZDX has high quality materials and enhanced features. It has Active Noise Cancelling system, which makes the interior quiet. However, the space is not sufficient. ZDX has many standard features like all-glass roof, power tailgate, leather interior, and backup camera. The technology pack comes with the Technology Package, which have many high tech features like Navigation System, 10 speaker audio system, XM Satellite Radio and many other features. Cargo is space is not sufficient, ZDX provides 26.3 cubic feet of space with all seats in use and 55.8 with rear seats folded. If you don’t consider cargo space, then it is the best SUV for your needs. The one thing that other SUVs cannot compete with ZDX is its exterior styling. Everyone loves the new styling and features are excellent. The special feature is a front-to-rear panoramic glass roof, which is more than 12 feet in length and has an integrated power sunroof. The standard features in ZDX include Vehicle Stability Assist with traction control, side curtain airbags, Trailer Stability Assist and Assist with traction control. It is the safest car and the rankings are good by the reviewers. There are other advanced safety features are also available, but available in Advance Package. ZDX scores 8 of 10 for reliability, which is a good score. It has 4 year or 50,000 miles warranty and 6 year or 70,000 power train warranty. Acura ZDX is the dream car to drive with excellent exterior styling.